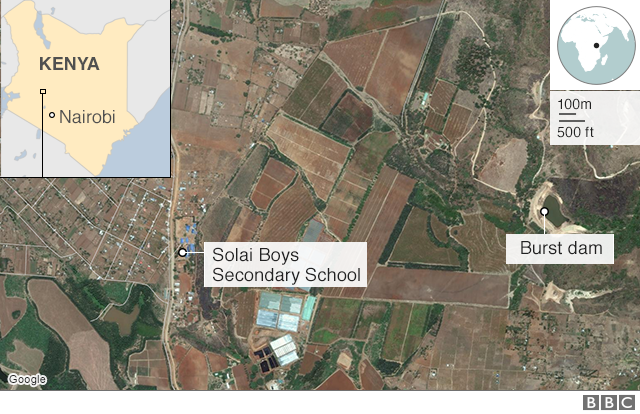 More than 40 people are already known to have died in Wednesday's disaster, which struck near the town of Solai, 190km (120 miles) north-west of the capital, Nairobi. Police are expected "to carry out thorough investigations to establish cause and culpability, if any" and provide a report within two weeks, the public prosecutor's office said. According to Kenya's Daily Nation newspaper, the wall of water was about a metre-and-a-half high, and 500m wide. It destroyed everything in its path - including a primary school and power lines. "I was with my parents and my younger brother," he said. "I don't know where they are. I was carried away by the water but I was lucky as I clung to a tree until the water subsided." 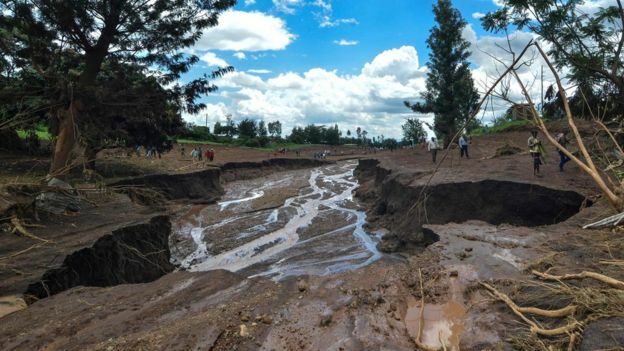 There are fears over other dams in the area, with Mr Kinyanjui warning at least one other local dam "will have to be discharged to avoid disaster". Before Wednesday's disaster, 132 people had died countrywide as a result of heavy rains since March, according to official statistics. The rains came after a severe drought which left millions of people in need of food aid in the region.